Rewards to members running 17.0000 seconds or less. N.B. All members quickest times, even over 17 seconds, may appear on leader boards. Feel free to P.M. me for more info. Last edited by slimjim; 14th October 2015 at 07:58 AM. Can I join, I have an 888 special? I'll get my coat. Yes, you can join as a prospect. Anyone with a Watercooled VAG powered Transporter can join. We have a few 800 and 888 specials in the club all ready..... a few minor modifications and an empty van could easily get you very close to a qualifying time. Sounds a silly question but... How likely am I to break my wagen if i went down the route of, big injectors, intercooler, and maybe some turbo work later down the line? Depends a little on your engine. But mostly, if you are managing the power correctly you should be fine. ALL modifications require power management, you MUST tell your ECU what you have done, so it not only gets the most out of the upgrades but also keep the power in a safe band. Rolling road session with a re-mapper who knows what they are doing may cost cash but they also make sure your engine/mods/power don't destroy all the cash you have put on the modifications. 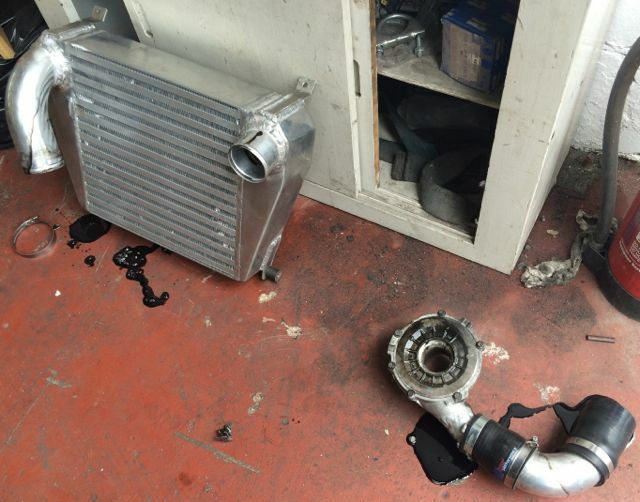 Personally, I killed TWO turbo's in half because my ECU wasn't told about the alterations I had made. One of which ripped itself in half by too much power going through it. Yes, mine is an extreme case as I am running 'big' power... but it is still a case in point. #2. 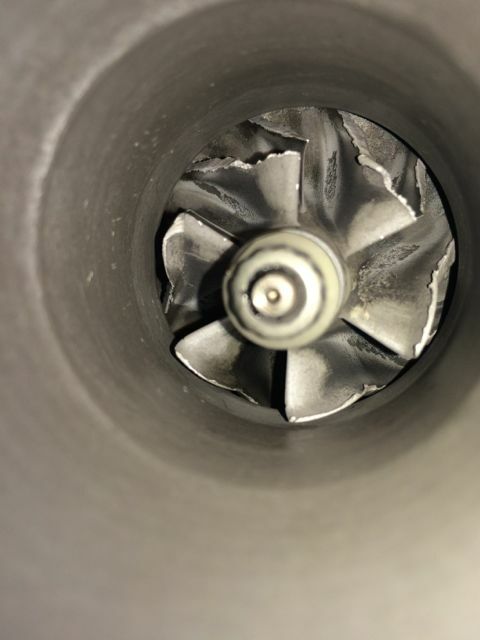 Turbo split in half! I would love to give this a go!! 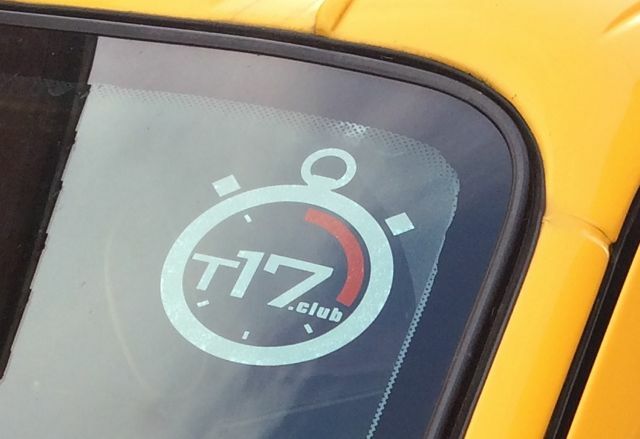 Any 1.9tdi conversions ever made sub 17 sec? Not yet Steve but the table is very young. Have a look here for the official tables, including what people are running engine/setup wise. Well, it's all about power to weight, not just power. A few modifications to an 888 special and a fully stripping the van should get you very close to, if not under 17 seconds.